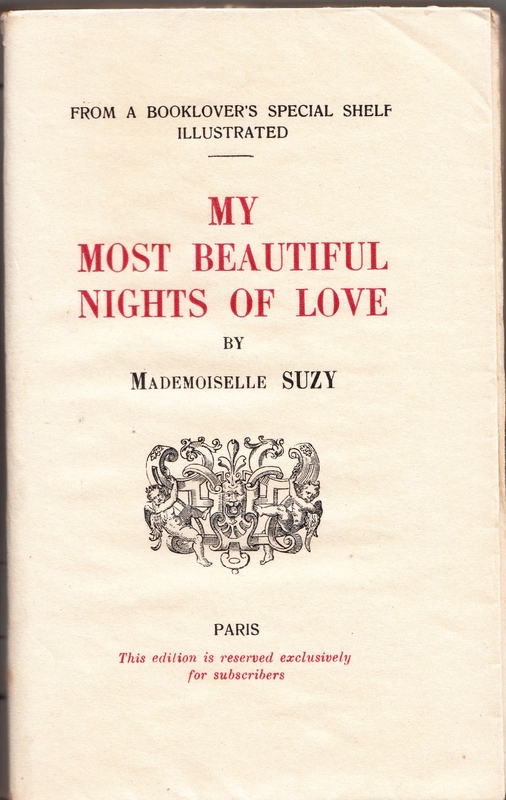 Books for Trade: My Most Beautiful Nights of Love: by Mademoiselle Suzy Paris 1938. May 9, 2017 May 12, 2017 / Steve M.
UPDATE 11-05-17. Not happy with the quality of the images on-line so I have re-scanned at 600dpi, hopefully they will show up better, as they are much clearer in reality. My favourite kind of book , a mystery title, I say this because although claimed as an Editions D’antin title in “Les Editions du Couvre-Feu”by Chrotphe Bier, (Editions Astarte 2014). 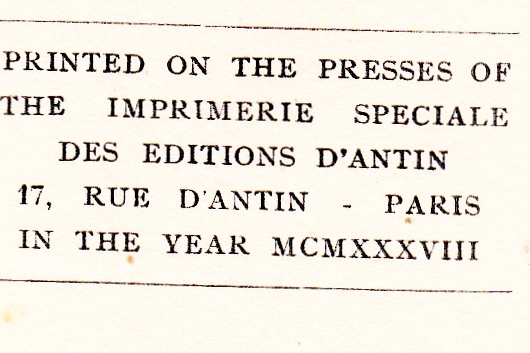 The book itself appears only to credit Editions D’Antin as the printer rather than the publisher. 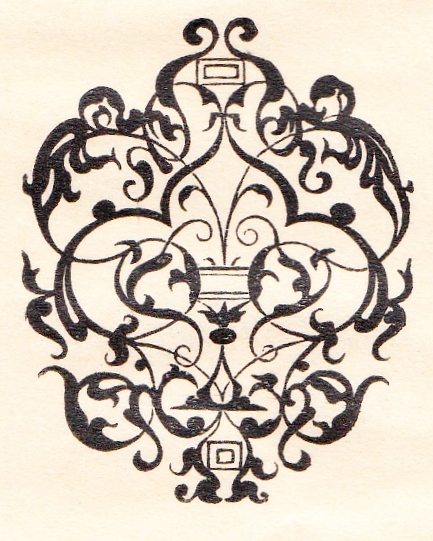 This is further complicated by the short list of other books “Sold in the Library” (detail below), which lists titles published by The Obelisk Press and Librarie Astra as well as English versions of Vidal House titles. This can be explained as the lists literally being of titles sold by certain retail outlets rather than being published by them. 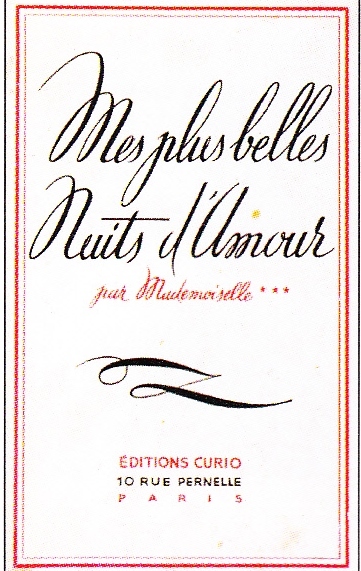 The other part of the mystery is the artist behind the illustrations, although unsigned they of outstanding quality and i am tempted to compare them to the work of E.Klem, and having compared them to illustrations from other titled Odeurs du Femmes I am now convinced these are unsigned KLEM , illustrations. In an e-mail communication earlier today Christophe Bier, came to the same conclusion. This edition is reserved exclusively for subscribers. 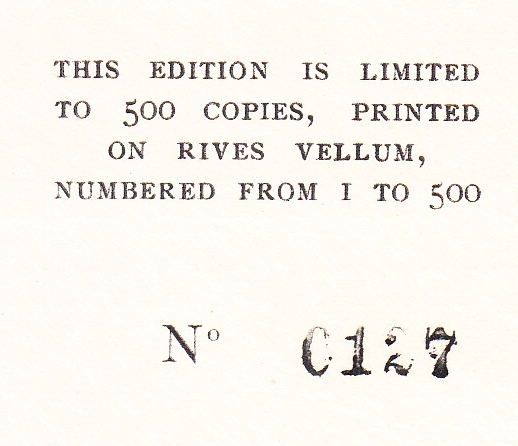 In original covers printed in black and red , 151 pages plus iii. 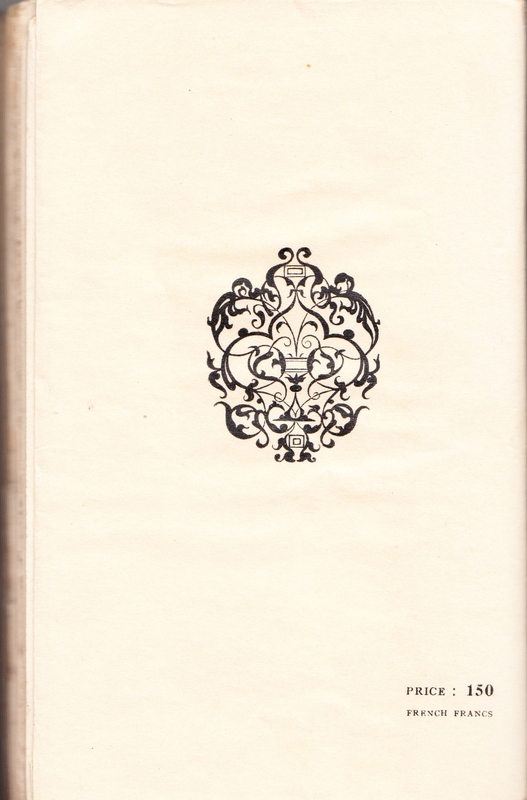 With six beautifully executed, unsigned illustrations in colour tipped in.